Deborah has more than 25 years’ experience helping clients discover clarity and direction. She personally teams with her clients to focus on their strengths and to create powerful strategies that showcase achievements and results. Deb knows that a strong branding message, areas of expertise, and critical leadership initiatives (homerun hits) will capture the reader’s attention, compel them to read further and land the interview. Fees for resume development and other services vary depending on the complexity of each project, level of expertise, and career focus. Deborah will provide you with a proposal after an initial consultation. Resume prices range from $495 – $3500. Packages are available that include cover letters, ASCii formats, LinkedIn profile development, bios, detailed critical leadership initiatives / performance scorecards, and recruiter / Venture Capital / Private Equity firm distributions. For a free resume evaluation / critiques: Fax your resume to 419.791.3567 or email your document to . Turnaround time for report generation is 2-4 business days. Call 419.666.4518 to learn more or click here to contact us. Leading Edge Resumes uses a combination of consultations and worksheets to extrapolate key information regarding your areas of expertise, accomplishments, value-added milestones and communication style. Deborah develops your professional / executive resume and cover letter that showcase your ability to tackle challenges, take action, and get results. Resumes typically generate interviews within 10- 60 days. We know how to tap into your industry and promise to give you the best advantage possible to snag the job of your dreams. Let me help you TAKE COMMAND of YOUR CAREER. Establishing key relationships with executive recruiters is a must. We get your professional resume and cover letter in the hands of recruiters by emailing your documents to a targeted group of firms that include Korn-Ferry, Russell Reynolds, Egon Zehnder International, Heidrick & Struggles and more. Our recruiter database contains more than 19,000 recruiters and is updated daily. Call us to find out how we can increase your visibility and connect you with the right recruiting firm seeking to fill jobs with your expertise. Call for more information. C-level and senior executive candidates may also be interested in distributing their resume and cover letter to Venture Capital / Private Equity firms – a database of over 10,000 firms. 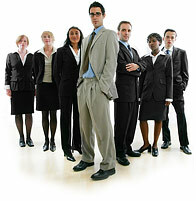 Rapidly growing companies may have the positions you are seeking. We can research both companies that fit your industry preference whether it is a start-up or a rapidly growing business. Targeted company and industry research is an essential component of a successful job search campaign. But compiling information from the Internet can be overwhelming and extremely time-consuming. Now you can purchase accurate, comprehensive company and industry market intelligence to gain access to the hidden job market and accelerate your search. Company Specific Research can provide you with comprehensive information including company overviews and history, historical financials, competitors, recent press releases and news articles relevant to the company, key people and their executive bios. This information can help you prepare for upcoming interviews, decide if a company is a viable option and/or a good fit, or gain access to company decision makers. Request research on a particular industry(s). We support you by offering a list of all the companies that fall into the industry / geography requested. Each list includes company name, address, web address, revenues, and key contact name, title, and direct phone number. Leverage this information to create a personal marketing strategy that gets your resume in front of decision makers rather than recruiters or corporate gatekeepers. By focusing on decision makers, you direct your campaign towards a more productive job search strategy and limit the amount of time spent on less beneficial search methods such as posting online or working with recruiters. Fee services ranges begin at $400 and can go up to $800, depending on the complexity of the research. Call 419.666.4518 or email me at . Deborah has written hundreds of resumes for all levels of clients in the automotive industry, IT, finance, government, pharmaceutical and medical device sales, sales / marketing management, accounting, finance, healthcare, human resources, logistics, manufacturing, supply chain management, , individuals in C-level and VP role, and more. Clients also include civilians on assignment with KBR, Fluor and other American companies overseas.